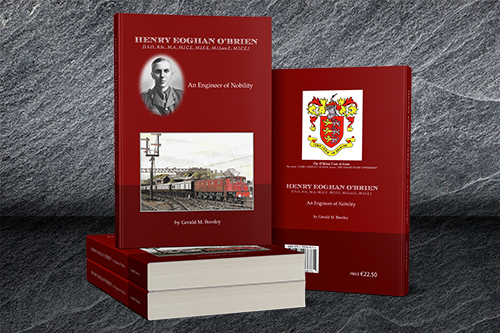 Creative Design & Print just produced a very interesting book written by Gerald M. Beesley on Henry Eoghan O’Brien – An Engineer of Nobility. 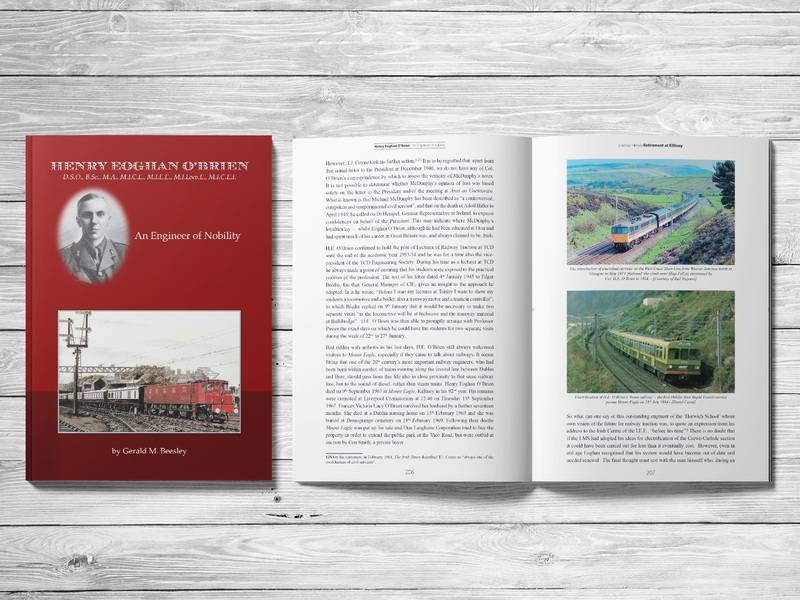 Henry Eoghan O’Brien, one of the 20th century’s earliest proponents of mainline railway electrification, was born in county Dublin on 24th August 1876. He was in the 30th generation in line of succession to Brian Boru, High King of Ireland (1002-14); a great-grandson of Sir Edward O’Brien, 4th Bart Dromoland; grand-nephew of Sir Lucius O’Brien, 13th Baron Inchiquin; and first cousin of Sir Murrough Wilson, deputy chairman of the London & North Eastern Railway. We are a specialist book printer and our services include book printing and book finishing. Our clients come from Wexford, Waterford, Dublin, Cork, Galway, Limerick and all over Ireland. If you need to get book produced, please contact us to discuss your requirements.